International Women’s Day in Scotland has grown arms and legs into a vast sprawling beast of a week with spontaneous happenings, direct action and celebrations all across the country. Here’s some of what’s going on…(please add other events & links in comments). First up follow Bella on Instagram for some of our own Jannicah Honey’s photos from the 40th anniversary of the foundation of Scottish Women’s Aid. 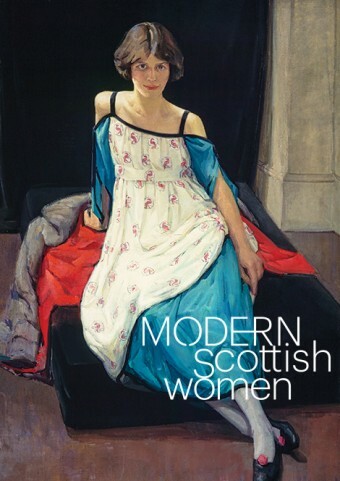 Or check out the Modern Scottish Women exhibition at the Scottish National Gallery of Modern Art (pictured right). The exhibition displays over 90 paintings and sculptures and celebrates the lives and works of women artists. There’s more art over at the Scottish National Gallery of Modern Art with ‘By the Book: Scottish Women Illustrators’ (11th November 2015 − 26th June 2016). Or, on Friday 11 March check out the IASH and Scottish PEN’s Dangerous Women symposium at the Storytelling Centre with Peta Freestone (IASH) and Jenni Calder (Scottish PEN), Faith Pullin, Chiew-Siah Tei, Jean Rafferty, Lesley Riddoch, Karen Campbell, Regi Claire and Magi Gibson. Get tickets here. Or get along to the Dundee’s Women in Science festival which continues until 13 Mar. See the whole programme here. campaign – due to close on Friday, 11th March. Meanwhile temporary statues of women appeared across the city including Muriel Spark, Elsie Inglis, May Ogilvie Gordon, Elizabeth Blackwell, Mary Somerville. Check @WIFIEphoto for more. All hail our insightful, indomitable, Scotswomen, elite amongst the worlds sisterhood. it always was, the alternative too terrible to contemplate. For some strange reason all the i’s have dropped out of my post, please replace them as you go, thank you. So when can we expect to have an International Mens day? Or would that be “too” equal? You can expect it on 19th November, same as every other year. If you’re saying International Women’s Day is an affront to equality, Mike, it might be good for you to hear about the world from a different perspective. Perhaps try for a ticket to Scottish PEN / IASH event at the Scottish Storytelling Centre, ‘Dangerous Women’… if you dare. My view is from a different perspective to yours but you seem to be objecting to reading it. Don’t you think its good for you? Don’t know what happened to my i’s. Probably should have gone to specsavers.